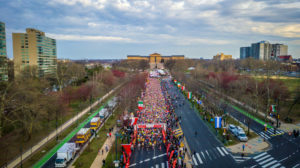 The city of Philadelphia rolled out the red carpet for thousands of runners at Sunday’s 6th annual Love Run Philadelphia Half Marathon on Sunday, March 31, 2019. The annual race, which routes participants through the most scenic parts of Philadelphia’s downtown city center, kicked off under partly cloudy skies with ideal temperatures in the 50s. Matthew Herzig of Weston, MA prevailed in the 13.1-mile half marathon in 1:08:15. His nearest Zachary Barker, finished over a minute behind in 1:09:16. Third place was awarded to Philadelphia local Jason Ayr, who ran 1:09:25. It was a locals sweep in the women’s race, Stephanie Knast averaged sub 6-minute miles to win in 1:18:19. Second and third place went to Jessica Fragola (1:19:28) and Kinjal Parikh (1:20:25) respectively. A 7k was held in conjunction with the half on Sunday. 18-year old Brandon Jarrett was the first runner to cross the finish line in 24:59. “At first I didn’t even realize I had won,” said Jarrett, who grew up in Philadelphia and currently lives nearby in New Jersey. “I’ve been doing lots of training this week and I didn’t think I’d do as well as I did. Just a great race and a beautiful course, it’s certainly one that I would run again. 29-year-old Cassandra Tripaldi of Pennsylvania won the women’s 7k, clocking 26:52. Top runners aside, Sunday’s race in Philadelphia was an incredible party with good times all around thanks to the near-perfect running weather. Philadelphia Eagles Quarterback Carson Wentz was spotted at the start line cheering for his wife, who was running in the half-marathon. And in true Love Run-fashion there was a surprise marriage proposal for one lucky couple at the finish line. 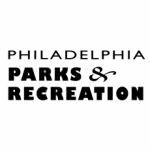 The Philadelphia Love Run is a convenient destination event with the start line and finish line festival all taking place just steps away from the iconic Philadelphia Museum of Art. 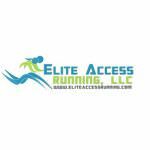 Featuring a world-class route that showcases the scenic downtown Center City, race day began at 7:30 a.m. with the half-marathon and 7k. Runners enjoyed one of the most scenic race courses in the United States with spectacular views along the route. With complimentary beer from Coney Island Brewing Co. for athletes 21+, music and thousands of spectators, it’s truly Philly’s best Spring half-marathon. 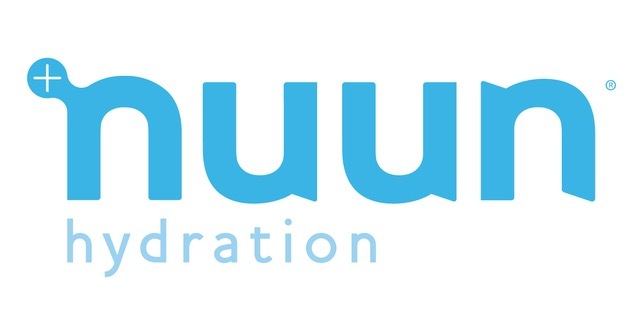 The 7th annual Love Run Philadelphia Half Marathon will take place on Sunday, March 29, 2020.